Azimut are preparing the world debut launch of the Azimut 77S, the new model in the S Collection, will be taking centre stage at this autumn at the Cannes International boat show. With four boats already sold even before its launch, the 77S is Azimut’s answer to setting a new standard for sport yacht’s. The WSB team has the opportunity to take a look behind the scenes and see if Azimut indeed have the answers for a new market leader. Four boats sold in pre-launch: the Azimut 77S seems to have already taken the road to success in the wake of his younger brother Azimut 55S, the best-selling of which, two years after the launch, were produced as many as 40 units. The yacht embodies that special synthesis of stylistic innovation, technology, and functionality found in all the Italian boatyard’s latest models. 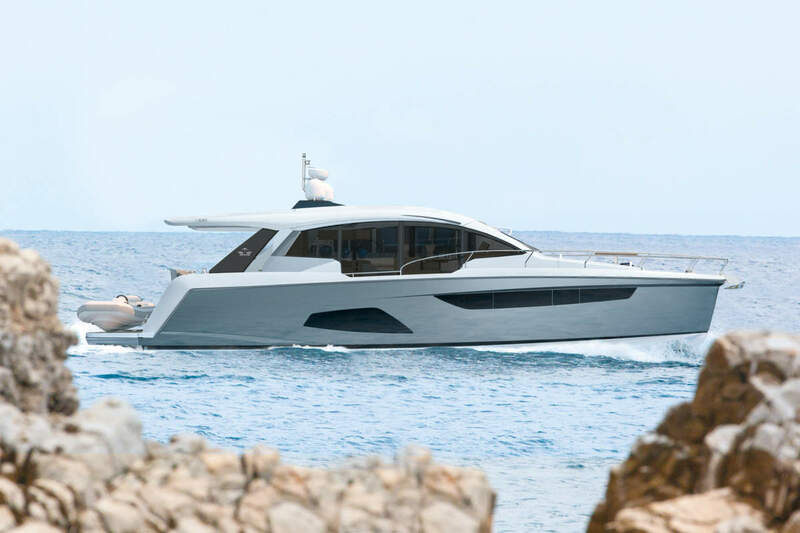 The pivoting stern platform for maximum flexibility, the wave-piercing vertical bow – for the first time introduced with the Azimut 55S – the single large deckhouse window, the glazed roof, superior performance, and enhanced fuel efficiency thanks to three engine configuration coupled with Volvo Penta IPS transmission are just some of the main features. The most striking quality of this new jewel in the Azimut Yachts S Collection is its streamlined silhouette designed by Stefano Righini. The furnishings and interiors by Carlo Galeazzi are the ultimate in style, with the polished Zebrano wood and hand-sewn leather rendering them breathtakingly precious. 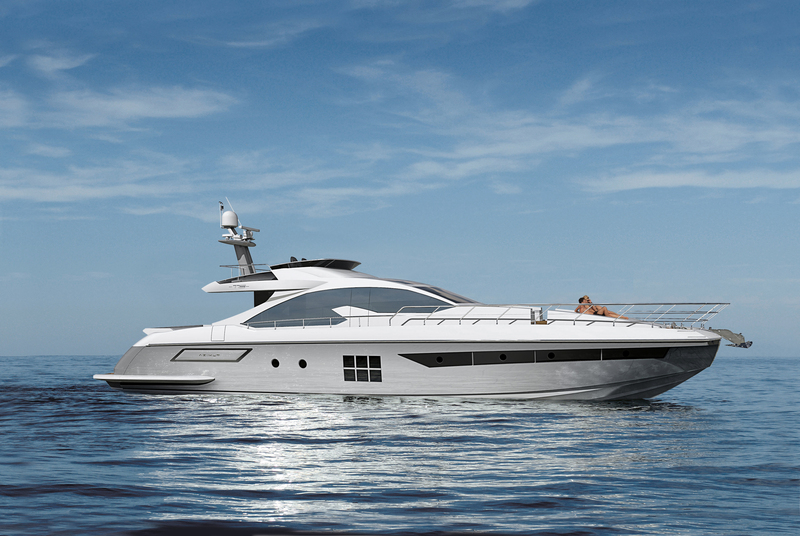 There is no doubt about it, Azimut 77S is beautiful. Azimut 77S is also extremely functional, light-filled and spacious. The salon and dining area are an explosion of natural light coming from the large lateral windows, the nearly three-metre wide glazed entry doors, the bow windshield, and most of all from the glazed roof. Azimut 77S is literally full of surprises. The crew area is below deck to the stern. 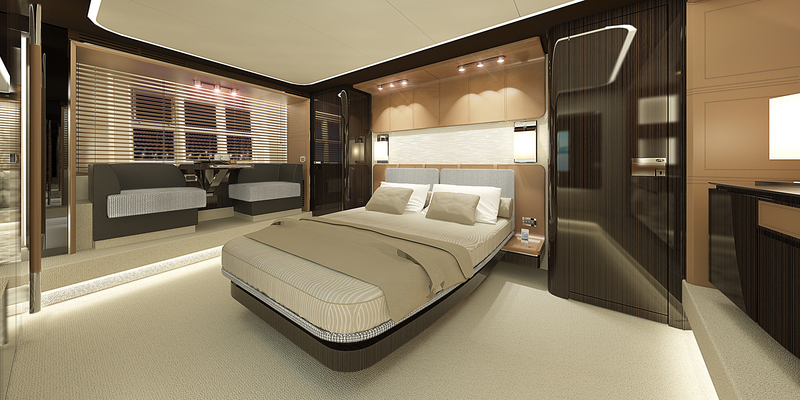 It includes two cabins and a bathroom with separate shower, accommodating up to three crew members. The owner cabin is at full-beam amidships and is a real spatial tour de force. 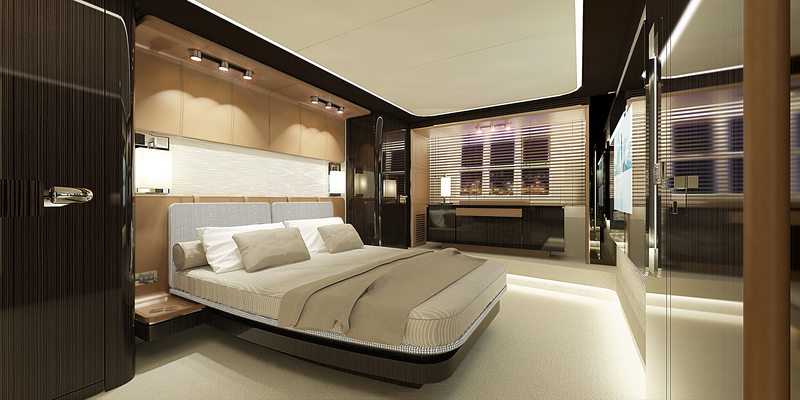 The VIP cabin to the extreme bow is also spectacular, as are the two lateral cabins, obviously each with its own bathroom. Triumph of space on the sundeck too with and a large sunpad and a pilot station. The innovation features of the Azimut 77S just keep coming, including the engine room. Instead of the more traditional two engines set up, the Azimut 77S is equipped with three Volvo Penta 900 HP Diesel engines, each with IPS transmission. The avant-garde solution means that the engine room is better organised and takes up less space. It also provides for maximum ease of handling and steering and ensures outstanding performance coupled with greater fuel efficiency. This model also has a specially designed keel for superior performance with a maximum speed of more than 36 knots and increased fuel efficiency of approximately 350 l/h at the cruising speed of 32 knots. 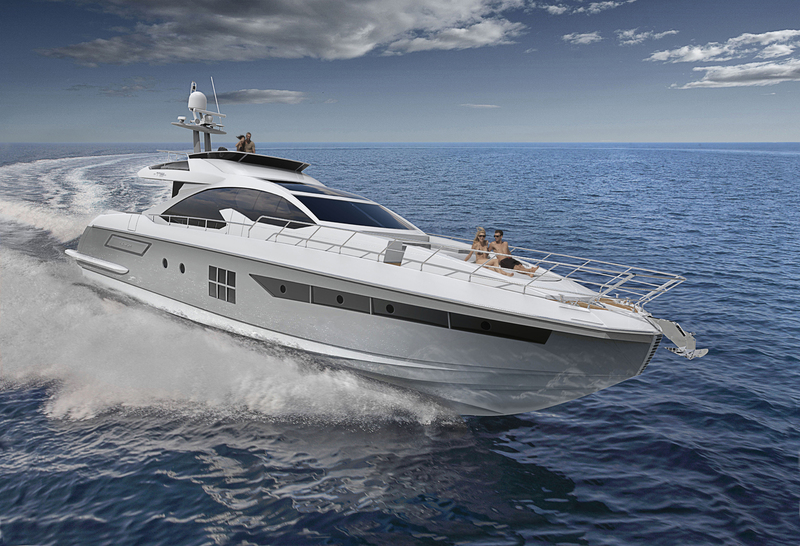 The new 77S joins the other upcoming season offerings – the Azimut Grande 95RPH and the Azimut 50 Fly – debuting at the September 2014 boat show in Cannes. The yacht embodies beauty and sportiness, further incontrovertible proof of Azimut Yachts’ role as “ambassador of Made in Italy boating worldwide”.